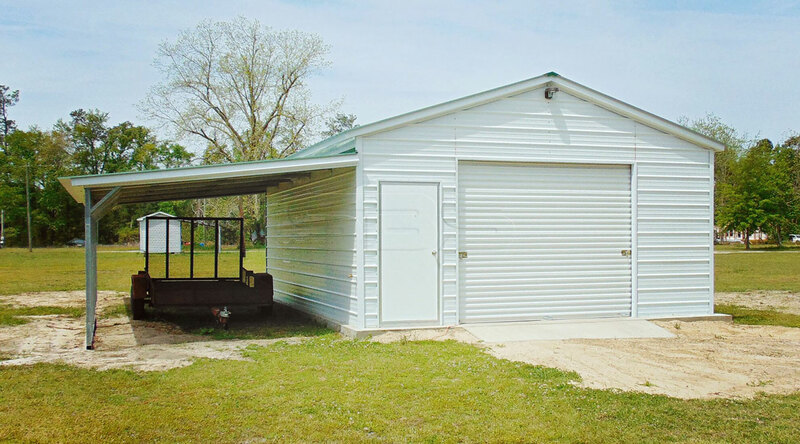 A carport is a good investment; however, an enclosed garage keeps out all weather conditions and offers greater security for your valuables. 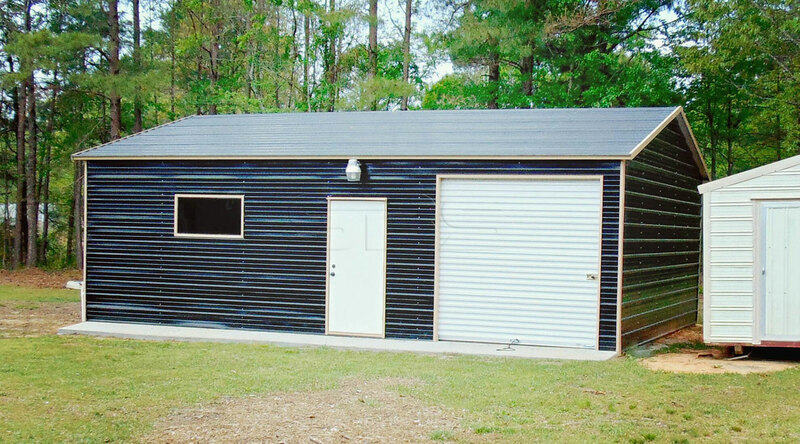 Plus, there is space for more than just your vehicle. 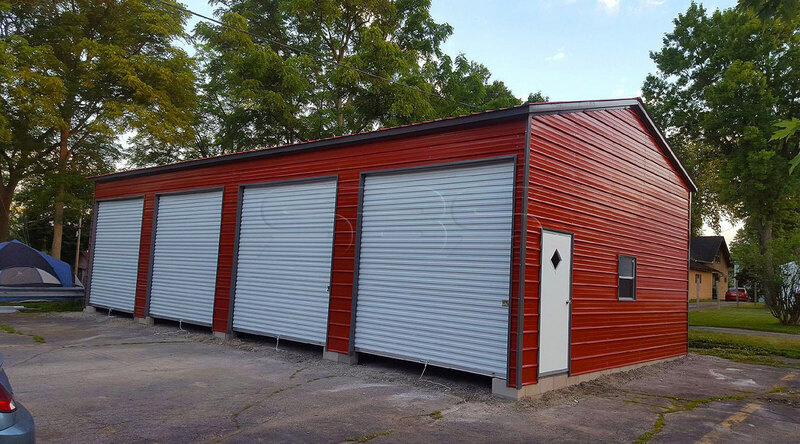 Your metal garage can be built in a variety of styles, including to fit custom needs, and metal garages are multipurpose in nature and can serve as storage for a vehicle and equipment, an office space, or a shop to work on your hobby. 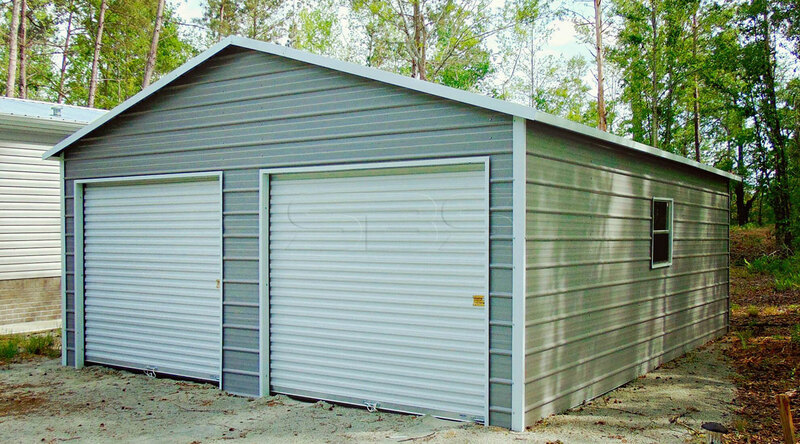 Our garages are custom-built to enclose your single vehicle or house a collection with multiple bays. 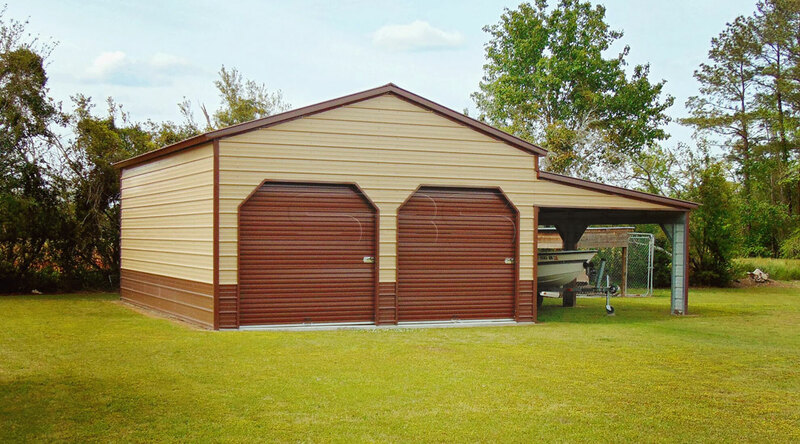 You can choose to add a traditional roll-up door or House of Stars will finish your garage with motorized overhead doors. Additionally, we can support your project with our preferred concrete professionals, coordinating your project from start to finish.